What's Up at Throop Learning Garden? and figs are still to come. 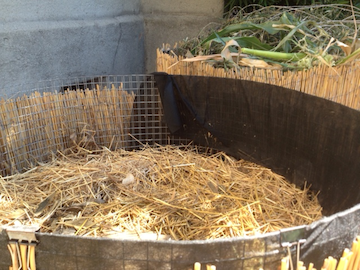 Join us for a hands-on workshop that will build a cold stack compost. 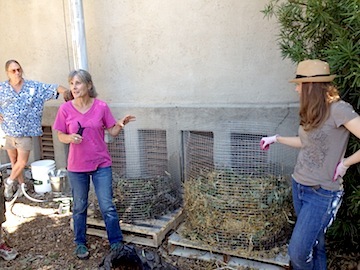 Transition Pasadena & Throop Learning Garden host a Compost Workshop, featuring garden guru George Patton. We are refurbishing the raised bed gardens. We will replace the cement blocks, which hold heat, with redwood planks. Stay tuned for construction workshop date. We are revamping our shade structure over the raised bed veggie garden. This will allow us to continue growing more heat sensitive plants, like cucumbers, into the heat of summer. 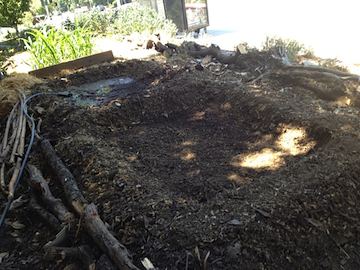 Plus, we continue to plant our summer crops in the hugel garden. So far we have planted okra, squashes, and flowers. Still to come: Tomatoes, corn, & beans. 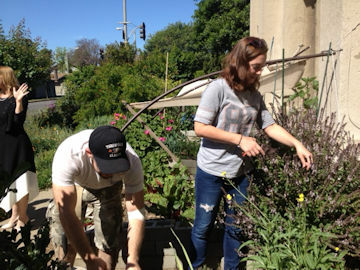 Please join our gardening community any Sunday between 8:30 and 11:00am. Enjoy the oasis of habitat. Watch birds and butterflies frolic in the flowers. Get your hands dirty. Feel the sun on your face. Go home with fresh seasonal produce and flowers. Reconnect with soil, flora, fauna, and a spirited group of humans. Spring rains encouraged a riot of wildflowers. We revel in the beauty and bounty of the garden. We planted blueberries with the “Kids Dig In’” children’s program at Throop. The shrubs were planted in large containers in late March. Already they have nearly doubled in size and are covered with tiny blueberries. 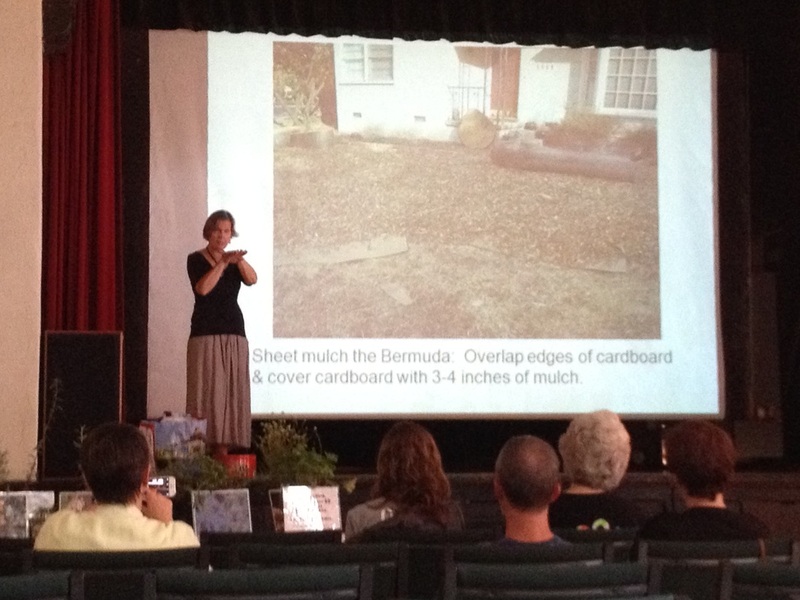 The “Kids Dig In” children’s program takes root month by month. We meet the second Sunday of every month at 11:00am to practice awareness, meditation, garden skills, how to nurture food crops and habitats, and just enjoy the beauty around us. The program is designed for 5-10 year olds. Younger children are welcome with an attending parent. This month we will also host children’s events on Sunday 4/17, as Throop celebrates Earth Day. Meet at Throop at 11:00am, after the garden work party. 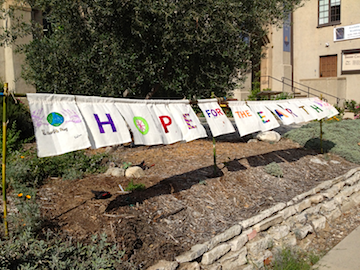 Hang your hopes for bringing peace and healing to Creation on the Throop Olive Tree between April 11-17. Join us April 21 from 4-6 pm for curated walks in the neighborhood. A celebration of our earth through music, poetry, art, puppetry, climate talks, plant and seed swap and more! Throop Learning Garden experienced its first olive harvest. 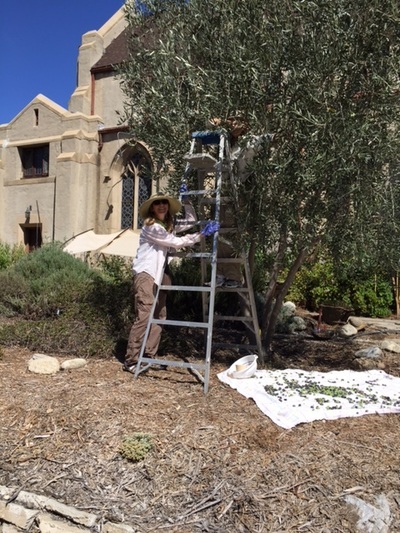 Our olive tree provided almost a bushel of olives, after several years with no harvest. We watched the tree, in great anticipation, as olives began to form in August. 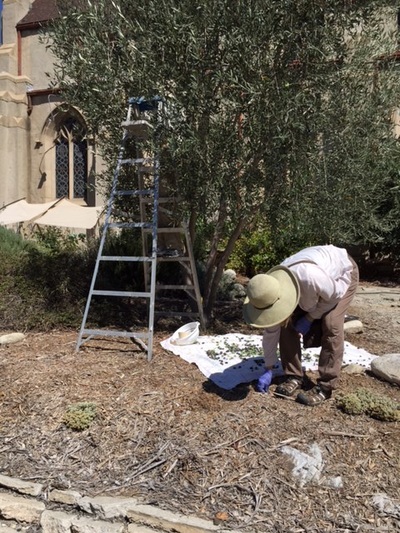 We began to plan for an olive brining workshop in late October. We all were surprised when the olives came ripe the last week of August. Our surprise was burnished by gratitude at the bounty presented to us. So we flew into action! 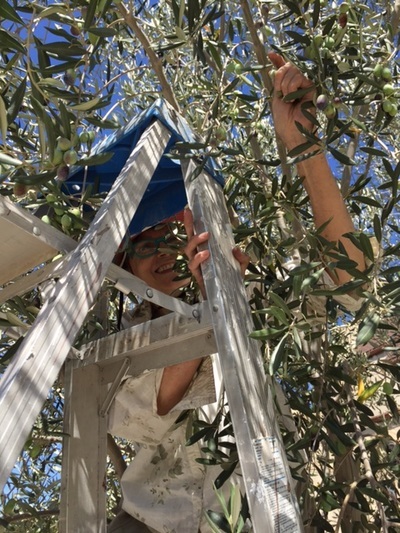 Therese, Mimi, and Judith worked out a picking relay team-one on a ladder picking, one spotting the person on the ladder, and one gathering up the fallen olives onto a blanket placed under the tree. Much laughter ensued. And giant bowls brimming with olives. But then the realization that we had an abundant harvest that needed to be processed. What should we do? 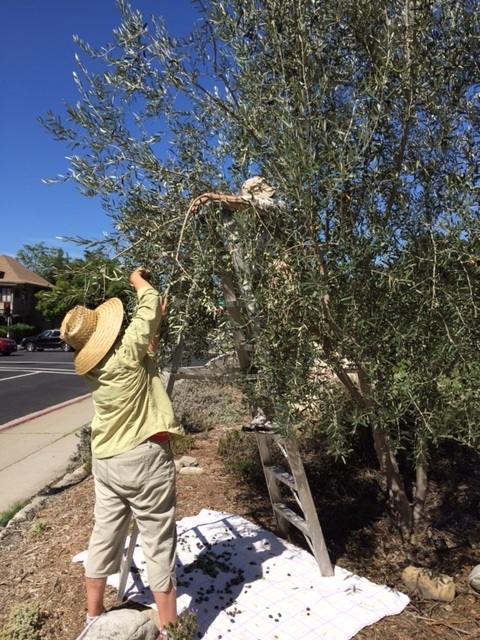 None of us were very experienced with olive preserving. We divvied the olives between 7 or 8 folks to try different processing methods and share what they learn at a future date. Michael is trying the Italian salt pack method suggested by the UC Davis ag department.Maggie is doing a salt brine. Therese is trying a variant of the salt brine. I went with a Sicilian brine for the green olives and a Kalamata brine for the black, fully ripe olives. With perseverance and luck, we may be able to sample some finished olives at the next Repair Café at The Shed on October 10. I recently returned from a trip to visit family and friends in Michigan. 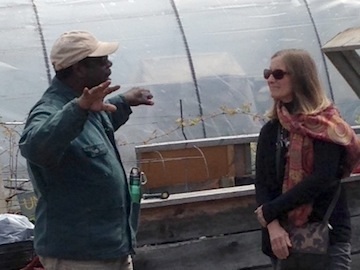 While there, I had the pleasure of visiting Earthworks Farms in inner city Detroit. Darryl Howard, the garden manager, gave us a tour I will never forget. 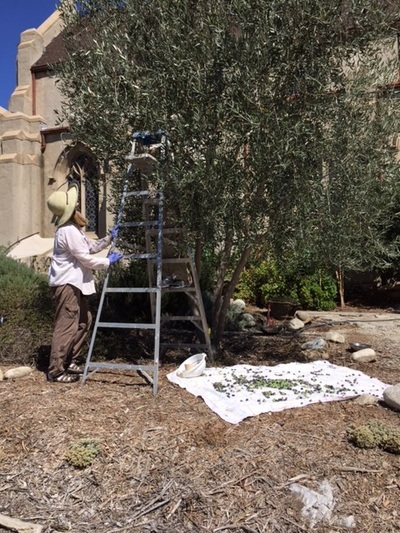 Earthworks began in 1997 as a small garden to augment the Capuchin Soup Kitchen run by the Capuchin monastery. Brother Rick and the ministry, in accord with their concept of being in relationship with all of creation, recognized “a need to address the systemic causes of poverty, broken relationships, and a wounded Earth.” Their initial goal was to raise enough food to feed their clients, but also address food security in their neighborhood. Brother Rick organized the neighbors to help. The response was very positive. Earthworks is located near the Detroit River off Lafayette Street in the heart of a very rough urban area. A number of properties in the area were abandoned. Some burned. Others collapsed and were razed. While devastating, it was also an opportunity. 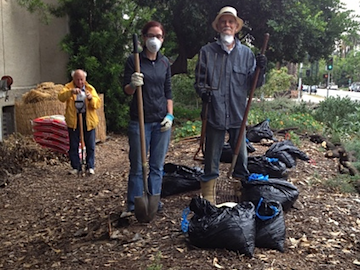 Over the years, the Capuchins were able to expand the garden to local vacant lots. Along the way they partnered with the local health department to promote healthy eating to low income families with children. In 2001 they began Project FRESH which brought farmers’ markets to local health clinics and neighborhoods. Slowly they added training to local residents, and began to produce value added foods, like jams, pickles, and canned tomatoes. They also offered training for bicycle repair, beekeeping, cooking, and basic workplace skills. Many went on to use those skills in the employ of local businesses. They continue the farmers’ markets through their teen program, thus teaching another generation entrepreneurial skills. Darryl generously showed me around three separate lots with hoop barns. The simple greenhouses allow for year-round growing. They also harvest water, make extensive compost, work with aquaculture, hydroponics, and have orchard crops. Darryl introduced me to several folks tending their own small gardens in a community garden set apart in one of the lots. They were excited to experiment with new varieties, or just grow some old favorites. Darryl was hopeful for the future of the gardens. He pointed out the huge impact Earthworks had on so many people, how much it had positively affected his neighborhood, and the potential that it held for the future. The garden is a welcome opportunity, no locks on the garden gates. It’s just a matter of opening the door.